Stainless steel, 43mm case, featuring an automatic movement, and date indicator. 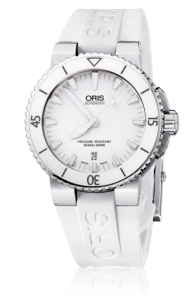 The exhibition glass back allows the view of the Oris red rotor. 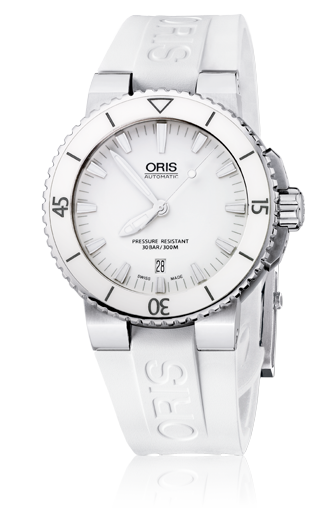 It is available on an all white rubber strap with stainless steel folding buckle.